Granite steps. 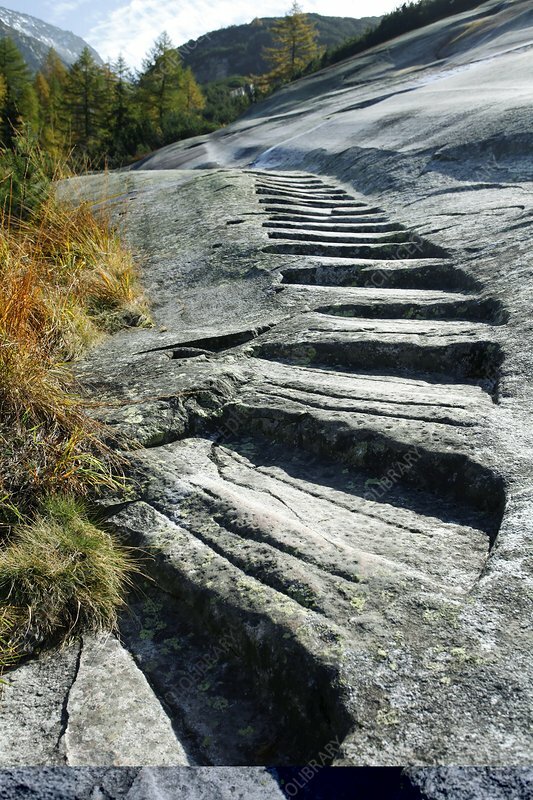 These steps, carved and worn directly into the granite, are known as the Halenplatte. They are part of the route taken by mule trains over the Alps, delivering cheese from Switzerland to northern Italy. This route is part of the Sbrinz historic cultural hiking path, on the Grimsel Pass, in the Swiss Alps, in the canton of Bern, Switzerland. This pass reaches an elevation of 2165 metres. Photographed in 2010.